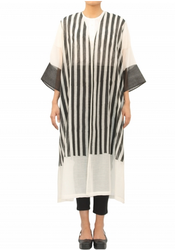 Abraham And Thakore Export Private Limited - Exporter of kimono jacket, dress & kite dress in Noida, Uttar Pradesh. 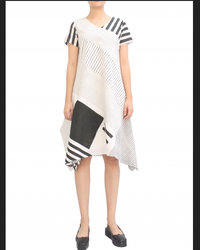 This silk kite dress, with voile lining, gives the perfect essence of Abraham and Thakore's signature black and white looks. 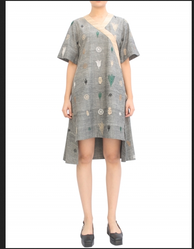 The engineered hand block print all over the garment makes it more exquisite. 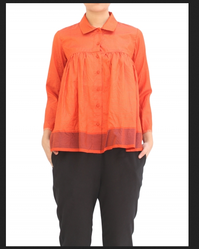 This mangalagiri silk kedia top in warm ginger hue brings out both casual as well as semi-formal look. Style it with saree for a contemporary style quotient or carry it with trousers for more formal look with a traditional touch.